It was a delight to see one of my most glamorous international friends the other day while shopping and she didn’t disappoint. 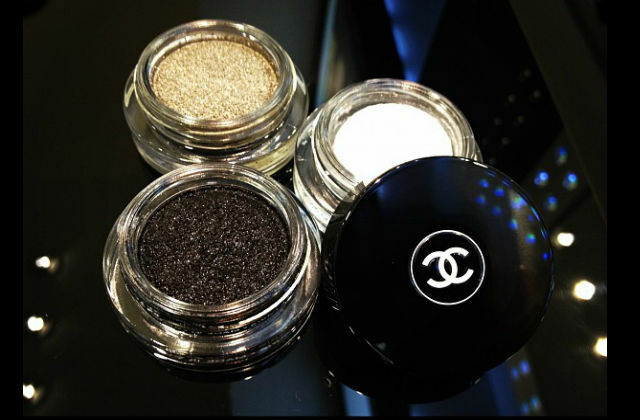 A touch of Chanel Illusion D’ombre on her eyes took centre stage and my friend’s eyes really sparkled while we both shopped for life’s necessities. This gorgeous, shimmering gel eyeshadow in Fantasme 81, a transparent, diamond-like shade, made my friend’s eyes sparkle and shine in a very subtle and chic way. No drama, no fuss, just a divine glow that would look gorgeous from day to night – the perfect touch when you want some quick glamour. My other favourite shades are Epatant 84, a perfect silvery taupe shade and Mirifique 85, a smoky, sparkling charcoal. I really like using my fingertip to smudge this on the eyelid and blend, or use the brush it comes with to line the lash line for a subtle effect. As with any sparkle, I recommend doing your eyes first, quickly cleaning up any fallen shadow with eye makeup remover and then doing your makeup.